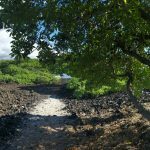 Description: A fun group run on some trails near Kona Sports Center. Distance of around 4 miles. Join us for fun in the Kona sun! 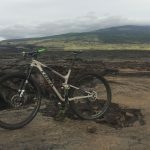 Description: Ride a mountain biking trail called Goatman through the lava fields just north of Ellison Onizuka Airport! Meet at Kona Sports Center at 3:30 pm if you don’t have a mountain bike. We can get you set up on a bike down at the shop. Description: 45-minute indoor cycling class with high-intensity cardio and muscle-sculpting strength training. 15-minute stretching and relaxation. Class Environment: Non-competitive environment that welcomes people of all fitness backgrounds. 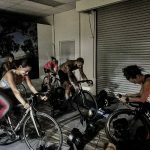 A “dark room” with energizing music during the spin portion of the class, and relaxing music during the yoga portion of the class. Made to create a space for you to experience breakthroughs and unlock your full potential. All cellphones and personal items need to be placed in a secure box (unless needed for emergency purposes). A fun group run on some trails near Kona Sports Center. Distance of around 3 miles. Run starts at Kona Sports Center.